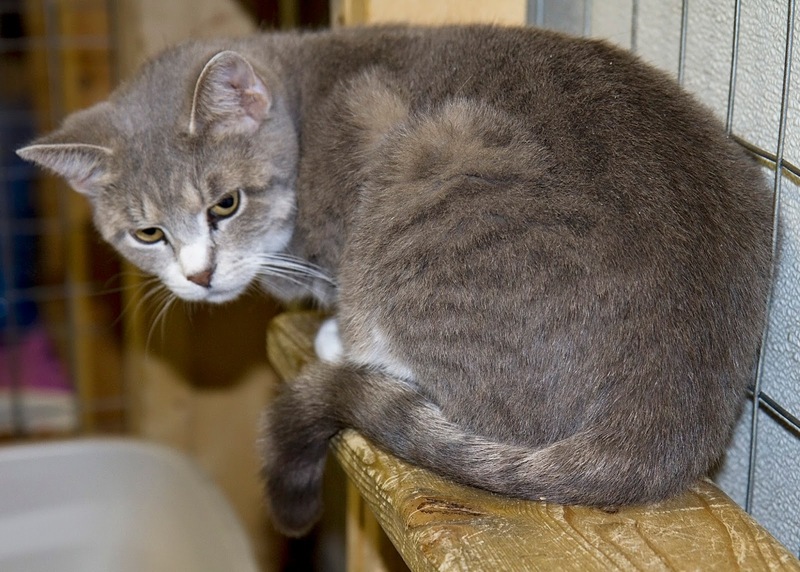 This quiet kitty is Scarlet, a gray and white female tabby. She is 2-3 years old, has had shots and flea prevention, has been wormed, and is FIV-negative. I only have one picture of Scarlet because she was very shy. But when I actually got her out of the cattery to comb her, she sat on my lap and loved the attention. She loves to be held and cuddled. Scarlet has been at the Humane Society of Noble County since November, 2013. I think she gets overlooked because people think she doesn't have much personality, but she is just shy. If you are looking for cat who is calm and quiet and loves to be loved, Scarlet would make a great addition to your home! Come visit her and give her a chance. Meet DC, a black cat with white throat and chest. He is neutered, and is approximately a year old. He has been at the Humane Society of Noble County for a little over 6 months. He is up-to-date on worming, shots, and flea prevention, and is FIV-negative. 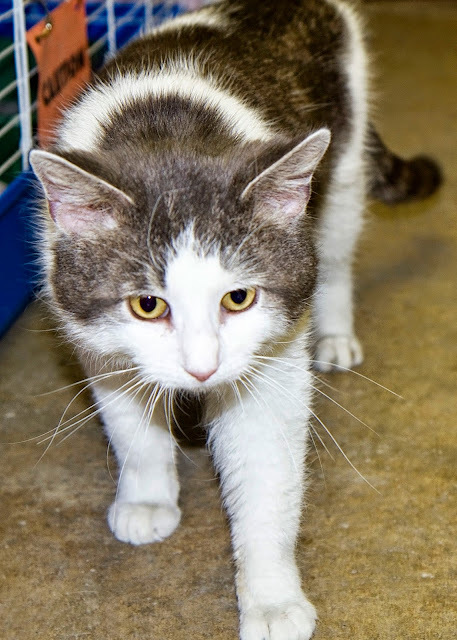 DC lives in a cattery with Cooper (see below), and they love to play together. In the first couple of pictures, DC is just chilling'. In the third picture he is playing with a tiny piece of cat food, and in the fourth picture he is playing with a yarn toy. 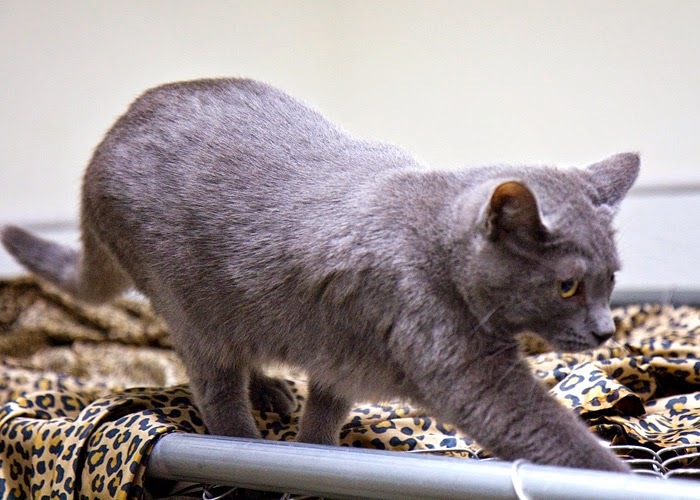 DC is an explorer and is very friendly and playful. He would love to have a home with people who would play with him too. 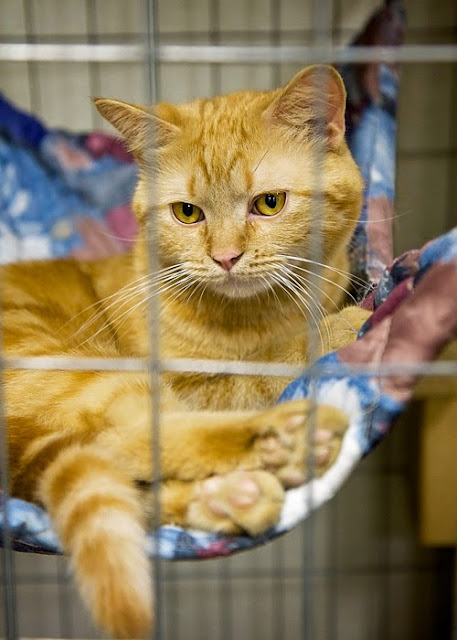 Come visit him and see if you could make him a part of your family! DC's partner in crime is Cooper, a neutered male who has been at the Humane Society of Noble County for about 7 months. He is a little over a year old, has had shots and flea prevention, has been wormed, and is FIV-negative. 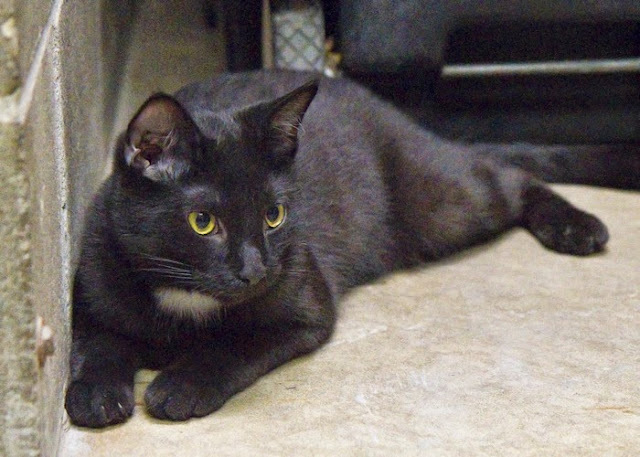 Cooper is very cuddly and loves to be held and combed, but he is also a playful explorer. 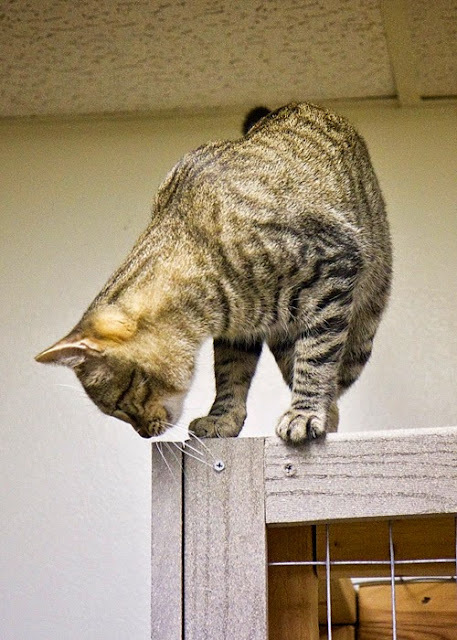 In the first two pictures, he was on top of the cattery and checking out the top of a dog enclosure. 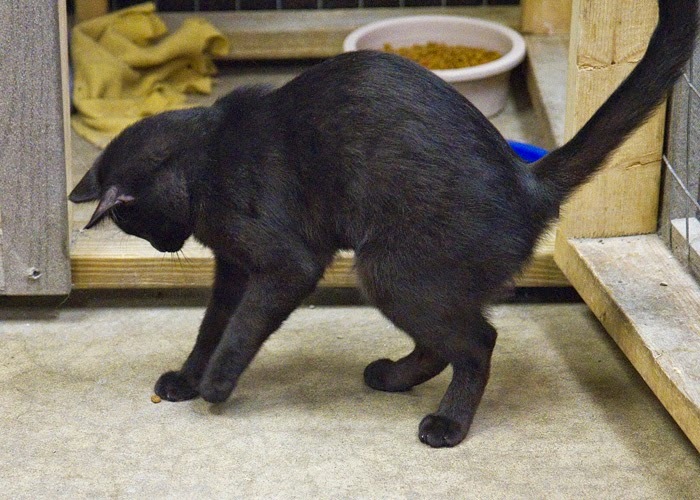 In the third picture he is checking out some new furniture in the cat room, and in the other pictures he is playing with a little orange ball. 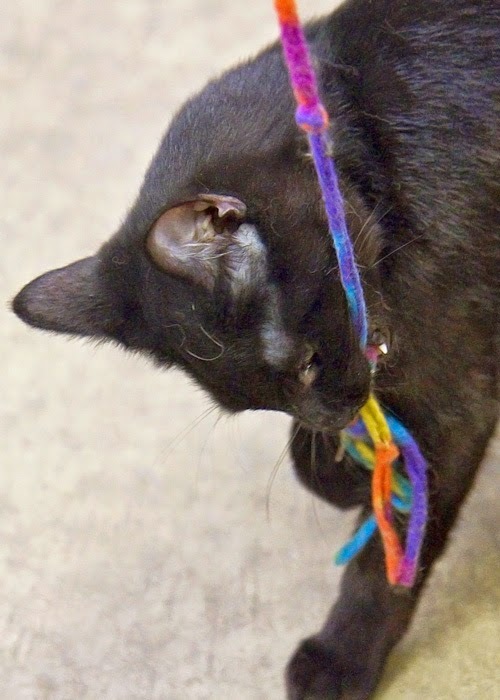 He can easily entertain himself, but also loves to play with DC (see above) and other cats. 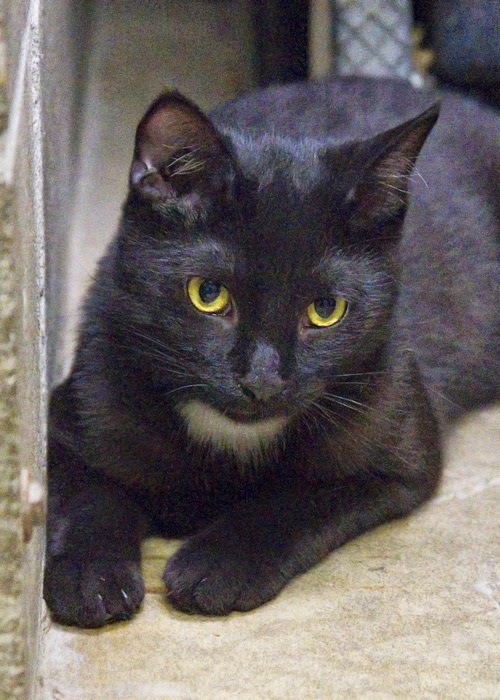 Because of his personality, Cooper would make a great addition to any family. 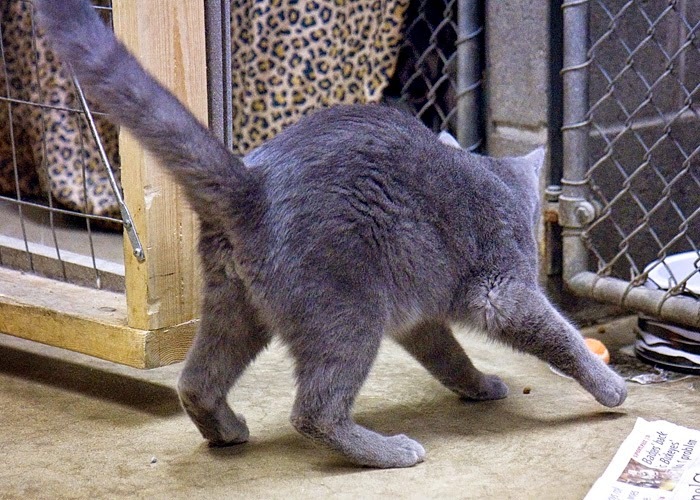 Please come to the shelter to visit him! 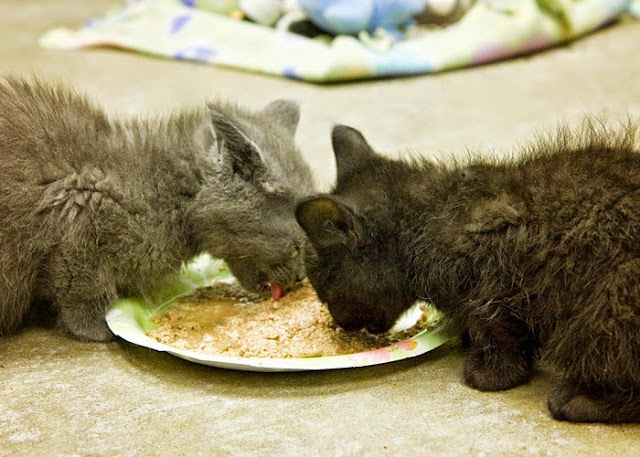 And remember - if you can't adopt an animal, donations of items for the care of the cats and dogs are always welcome!! I have been spending so much time posting animal pictures that I have gotten pretty far behind with other photo sessions. 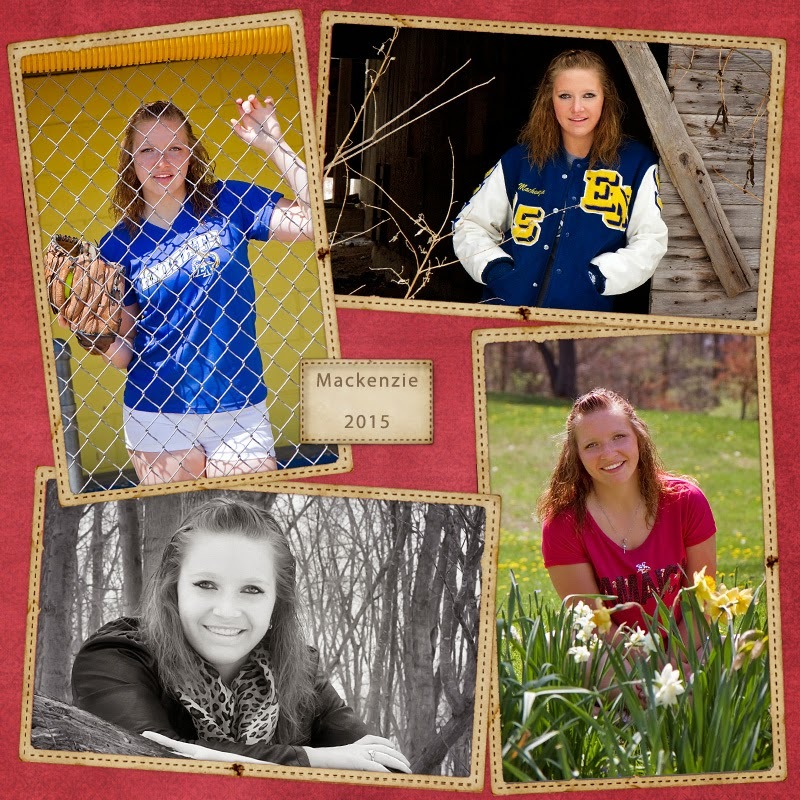 Here are some images from a senior session. As you can see, some of the pictures were taken this past winter in the snow, and some were taken more recently in the spring. This is Vienna, a black and orange female tabby. She is 1-2 years old, but is a small cat. She has had shots and flea prevention, has been wormed, and is FIV-negative. Vienna is VERY loving and loves all kinds of attention. I held her on my lap and combed her for a long time, and she didn't want to leave! She has been at the Humane Society of Noble Country for about a month, and would love to have a permanent home. Come visit this pretty, affectionate girl! 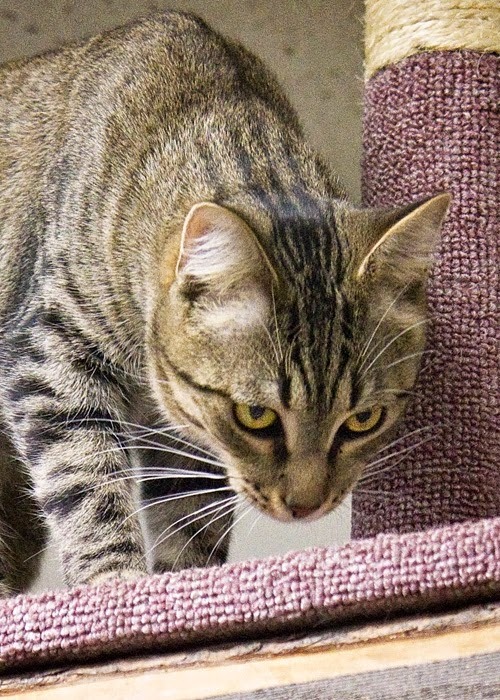 This crazy boy is Firecracker, a black and tan male tabby with dark stripes. He is around a year old. He is FIV-negative, and is up-to-date on shots, flea prevention, and worming. Firecracker is an explorer and a climber. 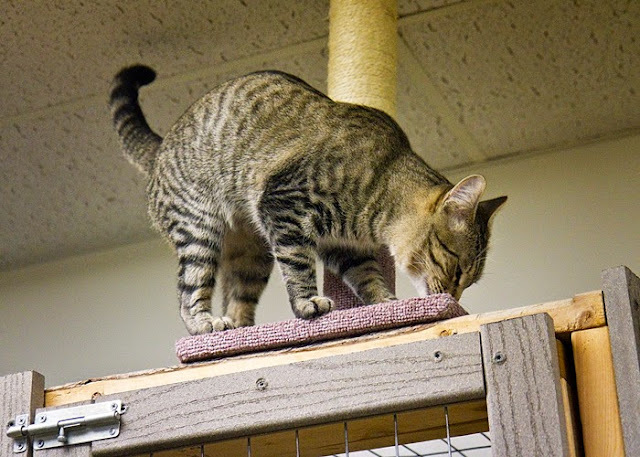 He wasted no time getting up on top of the cattery to check out the scratching post and some toys that were up there. 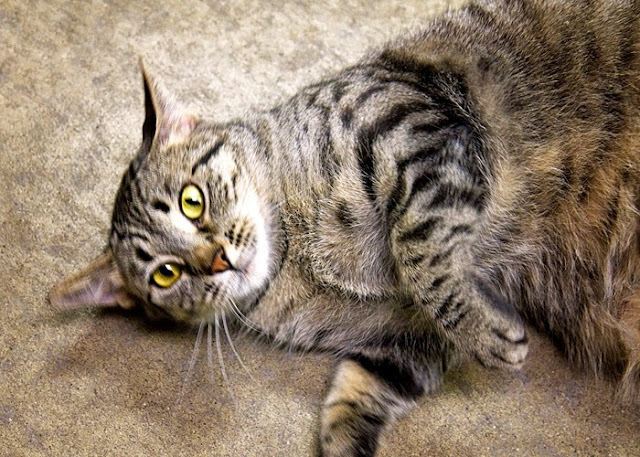 If you are looking for a fun-loving, playful boy, Firecracker is your cat! 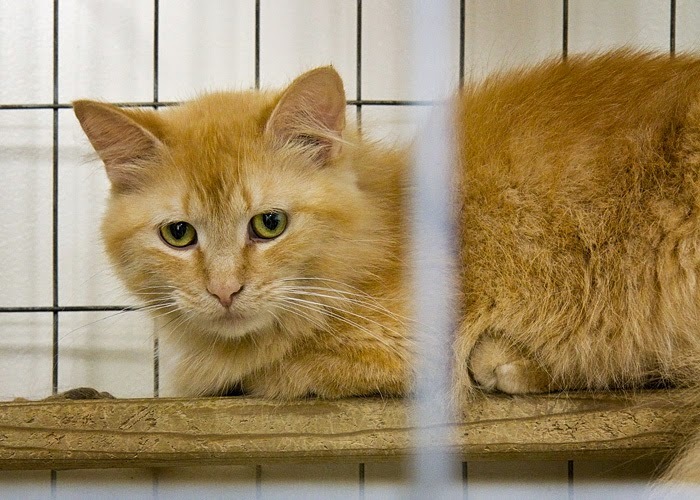 He has been at the Humane Society of Noble County for about 7 months and would love to go to his forever home with you! Meet King. 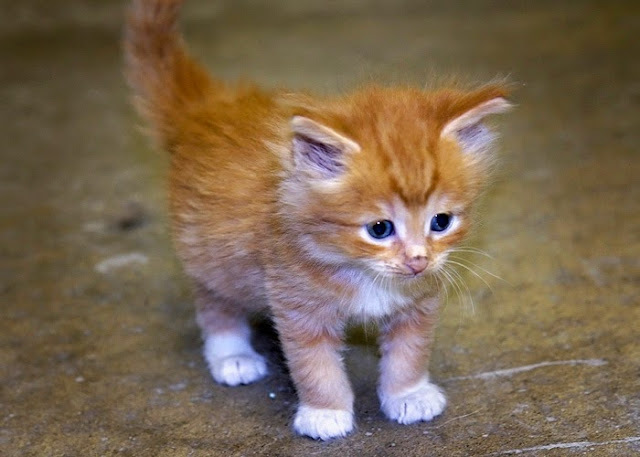 He is an orange tabby who is about 9 months old. 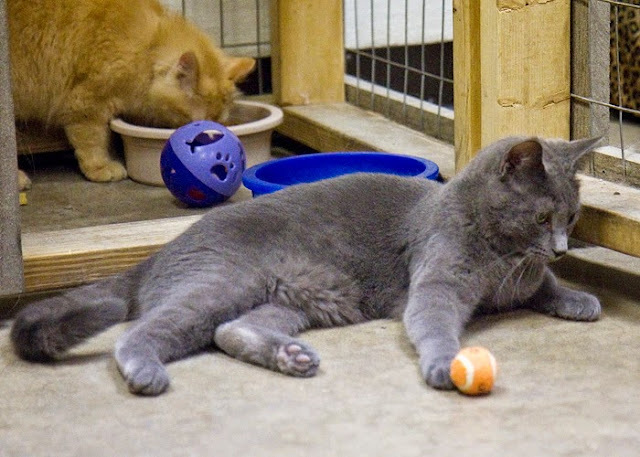 He is available for adoption at the Humane Society of Noble County. King is up-to-date on shots and flea prevention, has been wormed, and is FIV-negative. King is a very laid back boy who loves to lounge around in his hammock, as you can see from these pictures. 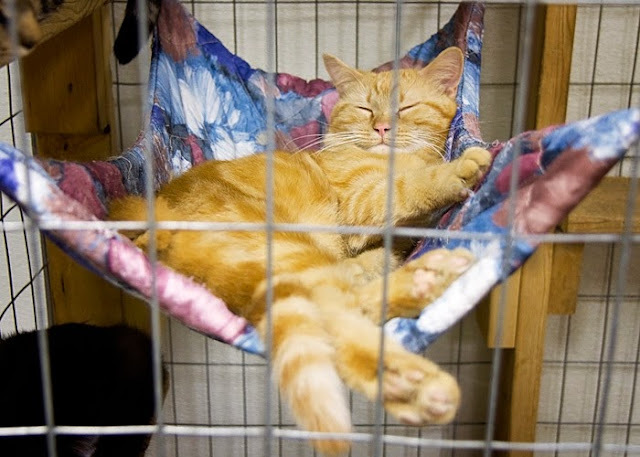 Even though he stays in a cattery with 4 or 5 other cats, more often than not, he is the one hogging the hammock! He has been at the shelter for a little over a month, and he would love it if you could give him a forever home. He is very calm and gentle. Please come visit him at the shelter! This handsome boy is Tang. 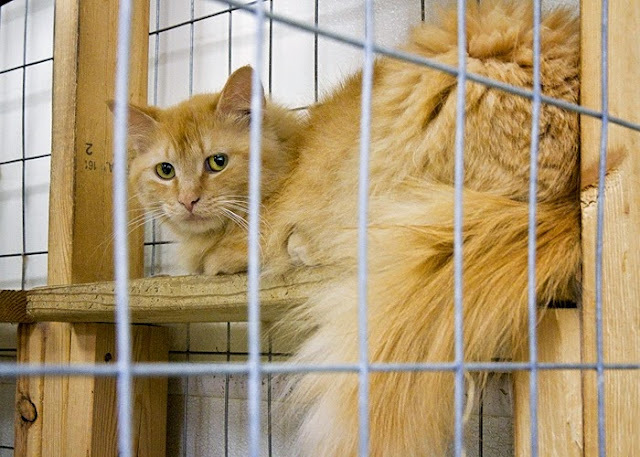 He lives in a cattery with a few other cats, including King (see below). 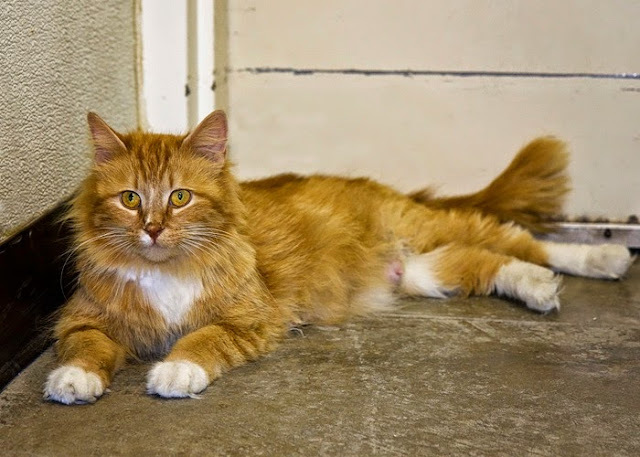 Tang is an orange, long-haired guy who is 10-12 months old. He is FIV-negative, has had shots and flea prevention, and has been wormed. Tang has one of the fluffiest tails you will ever see, as I tried to show in the second picture. He has a good personality and likes attention. 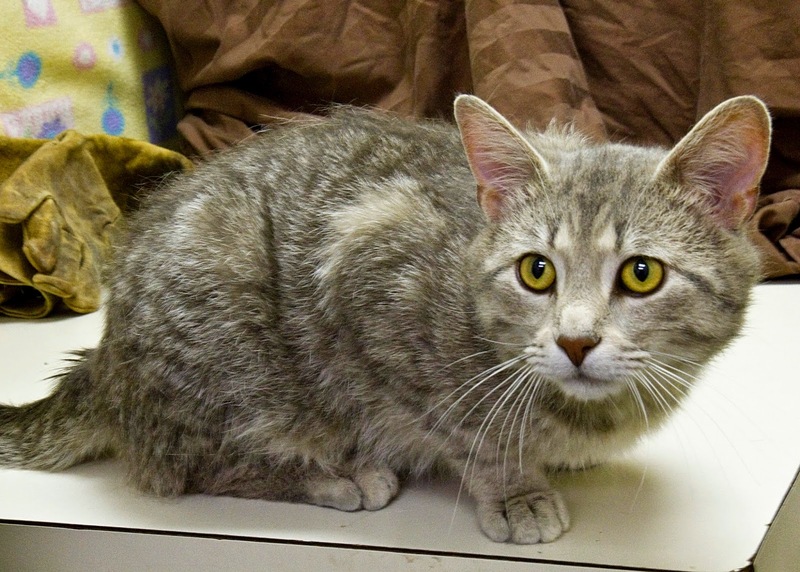 He has been at the Humane Society of Noble County for about a month, and he would love to have a real home. If you come see him, you will fall in love! 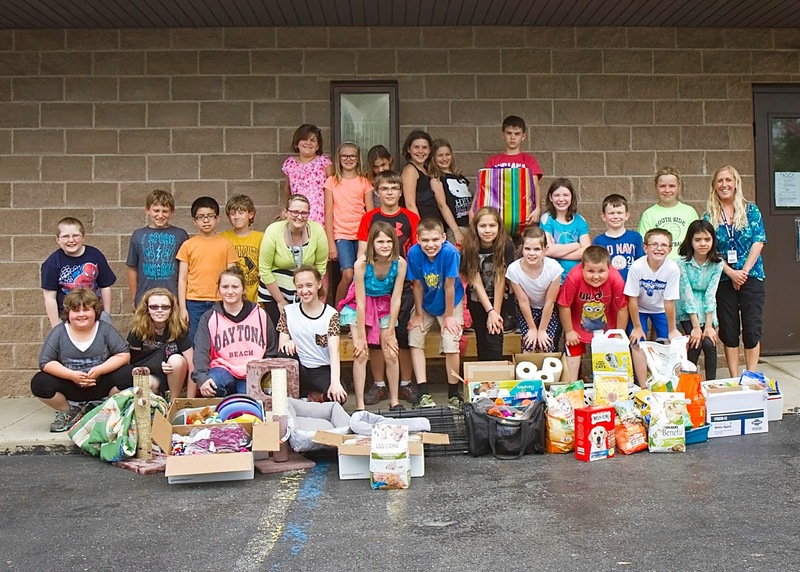 This past week, the Student Council of South Side Elementary sponsored a drive/contest to collect items for the Humane Society of Noble County. Today was delivery day, and they delivered an unbelievable number of items, including food, toys, beds, blankets, laundry detergent, crates, scratching posts, newspapers, and many other items to benefit the animals at the shelter. This first picture shows three of the Student Council girls trying to carry a big, heavy box of newspapers. The second one is a picture of the council members and sponsors, along with many of the items that they donated. The kids also got to tour the shelter and play with some of the animals. The winning class was a kindergarten class, and they will also get to visit the shelter and play with the animals. 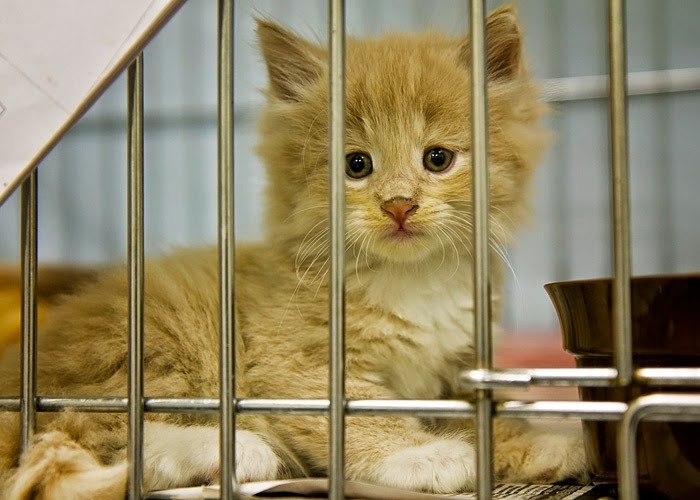 Donations to the shelter are always welcome, so if you can't adopt an animal, consider making a donation to help with their care! And a big THANK YOU to the South Side Elementary Student Council. You guys rock!! 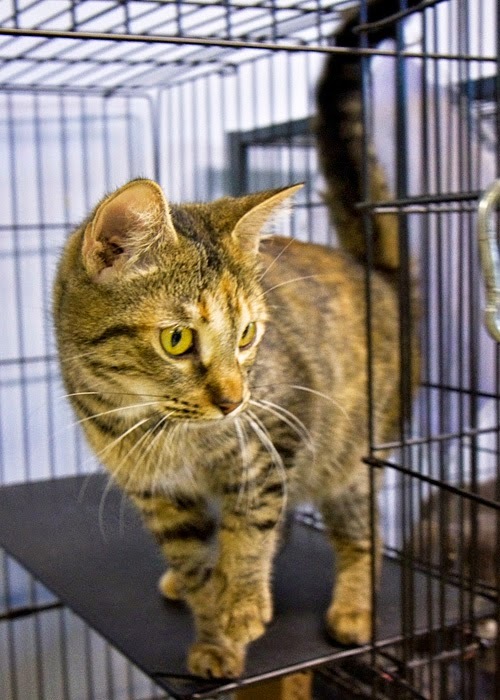 Meet Enya, a black and tan female tabby who is 3-4 years old. She has been wormed and is up-to-date on shots and flea prevention. She is also FIV-negative. Enya is VERY affectionate. She sat on my lap and let me brush her for a long time, and when I was done, she didn't want to get off my lap! As the pictures show, she rolled on the floor and purred and kept rubbing her head against me. If you are looking for a real lover, come to the Humane Society of Noble County and see Enya. 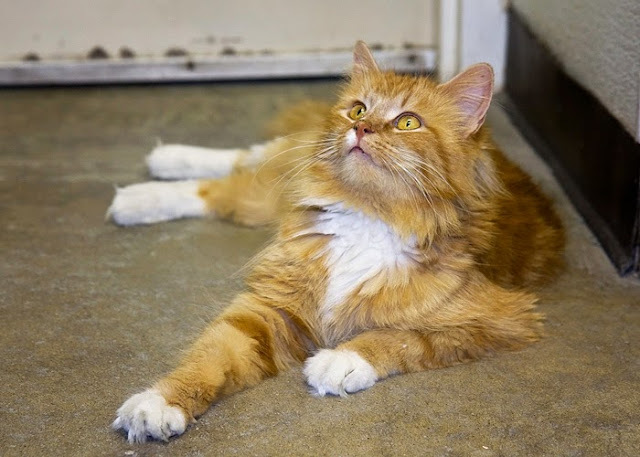 She has been at the shelter since October, 2014, and would love to have a forever home! This girl is aptly named Goldie. 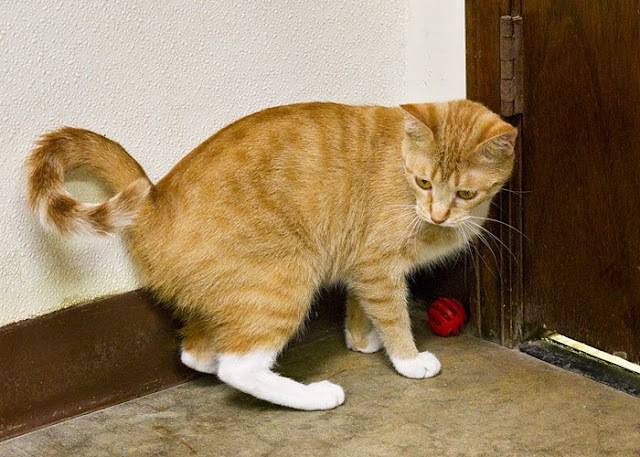 She is an orange tabby with four white paws and a gold and white striped tail, and is approximately a year old. She has had her shots and flea prevention and has been wormed. She is also FIV-negative. She has been at the shelter since October. As you can see, Goldie likes to explore and play. 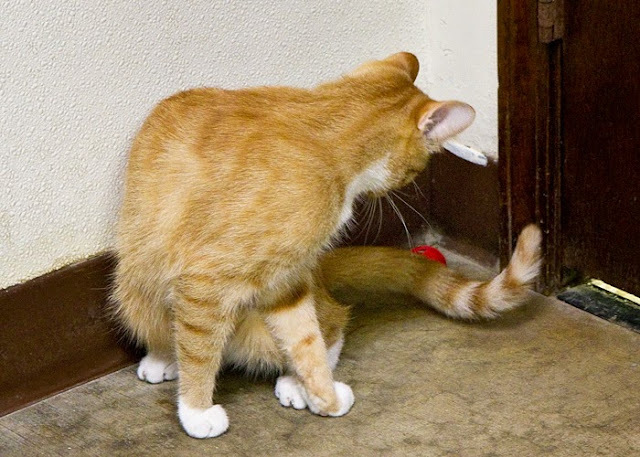 She had fun entertaining herself with the little red ball which had a bell inside. She is very friendly! 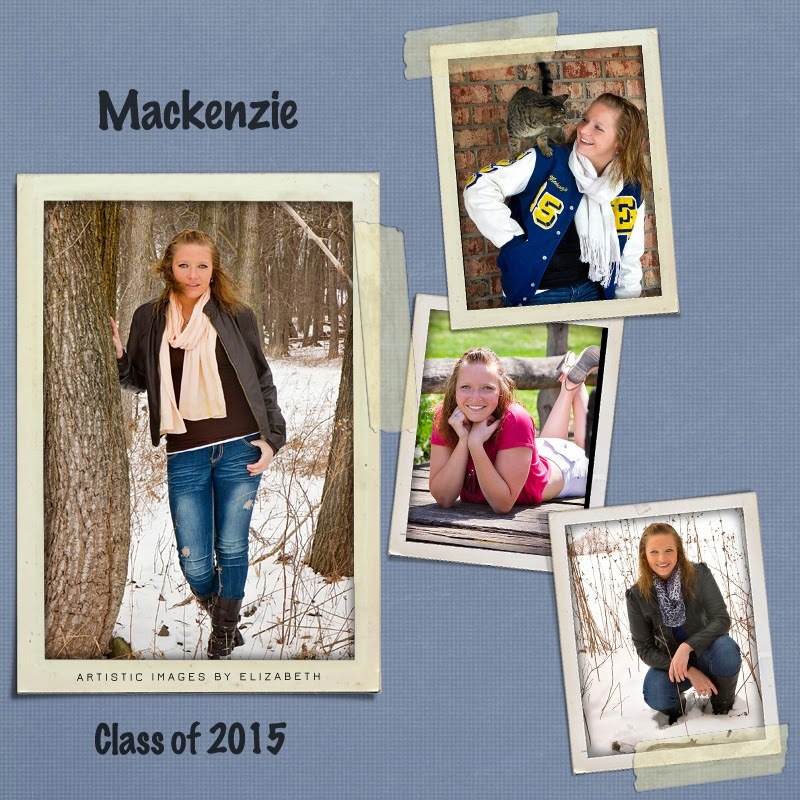 Come see her at the Humane Society of Noble County. She would love to go home with you! These wonderful cats, as well as many other cats and dogs, are waiting for their forever homes. 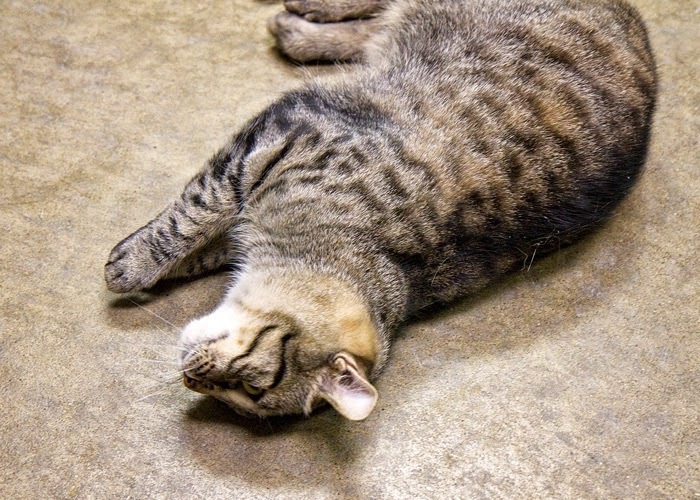 Come to the Noble County Humane Shelter and see which one you bond with! 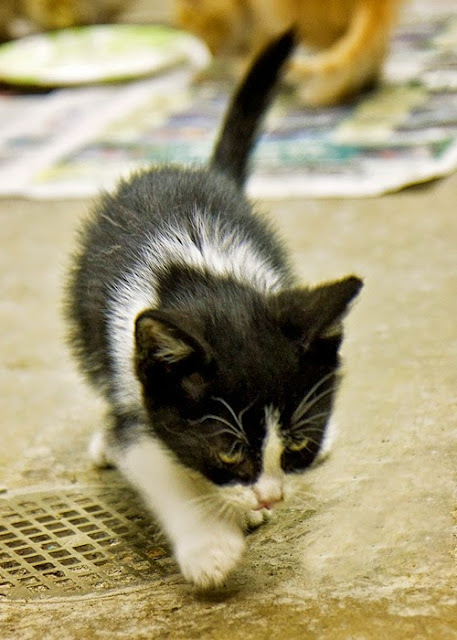 Here are some more kittens from the Humane Society of Noble County. 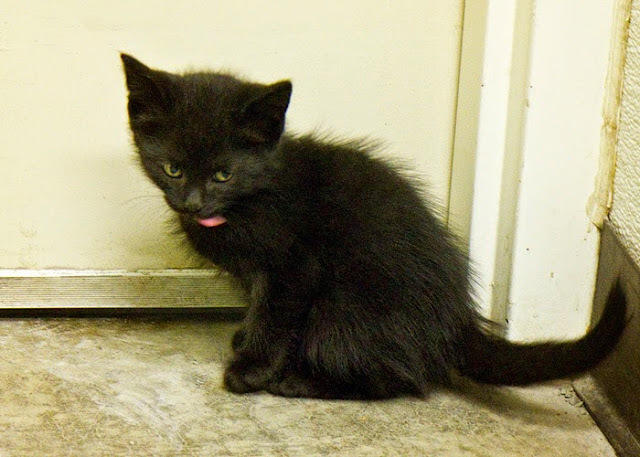 They are from various litters, and will be available for adoption around May 22-26, depending on the litter. 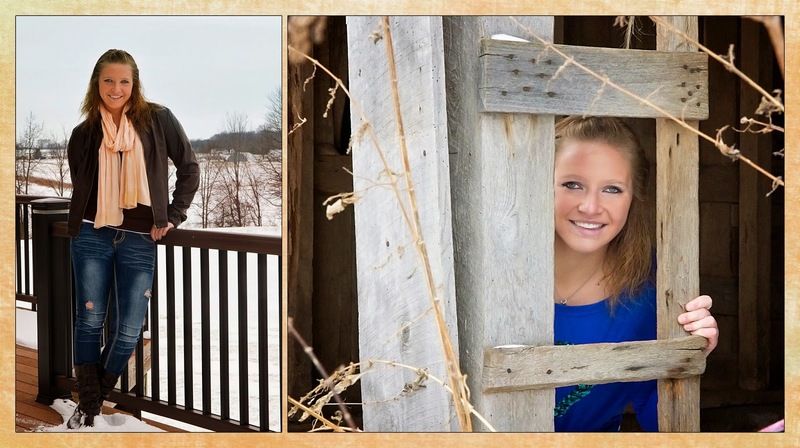 They are all so cute, it would be super hard to choose, but you should come give it a try. Meal time is always popular!! And of course after eating, a kitten must clean itself. And then there's exploring and resting! How funny is this guy??? 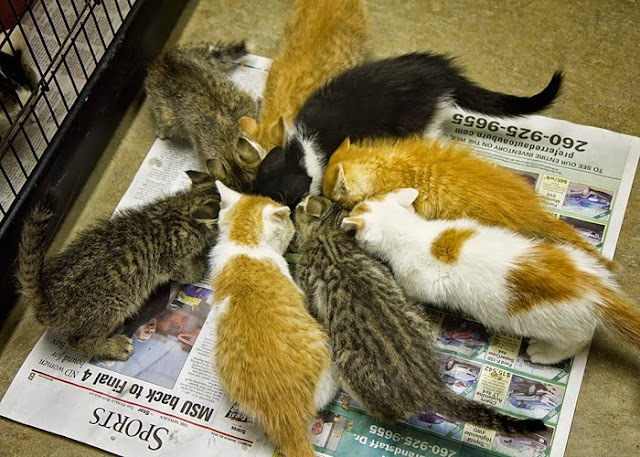 All of these kittens and many more are at the Humane Society of Noble County and will be available for adoption soon. Come see them and pick out a couple to take home!! 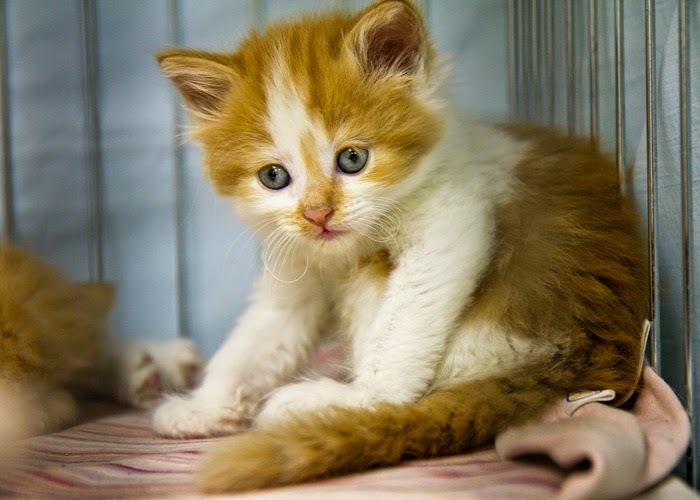 This gorgeous orange and white cat is a new mother to 7 or 8 kittens. Her name is Danica, and she has been at the Noble County Humane Society since March 20. She has had her shots and flea prevention, has been wormed, and is FIV negative. 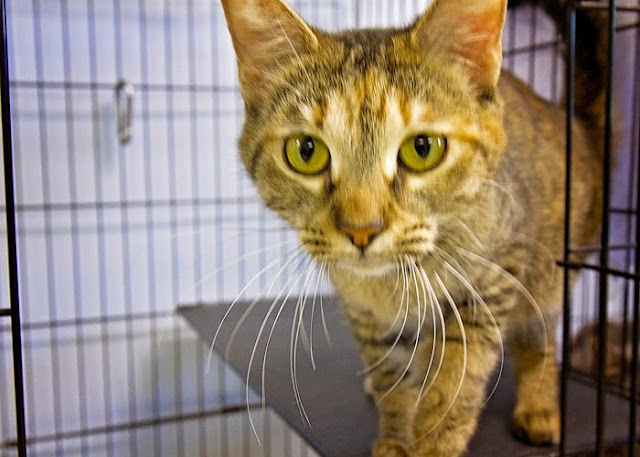 Danica is very friendly and loves to be held and petted. She was also very laid back while I was playing with her kittens. The kittens are about 5-6 weeks old. Some are orange or orange and white like their mother, and some are more of a buff color. The buff ones look so much alike they are very hard to tell apart! They are at the stage where they walk crooked and jump sideways. 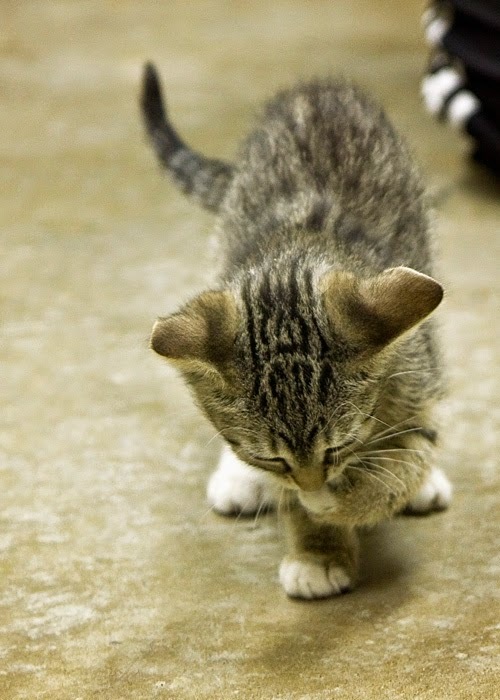 Nothing could be cuter! 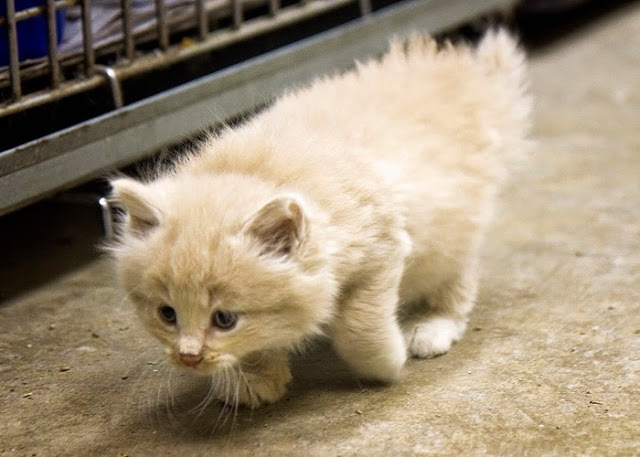 They love to explore, and play a kitten version of hide and seek. I only got pictures of 3 or 4 of the kittens, but they are all adorable! Here is a little interaction between mama and kittens. Danica will be available for adoption as soon as the kittens are weaned. 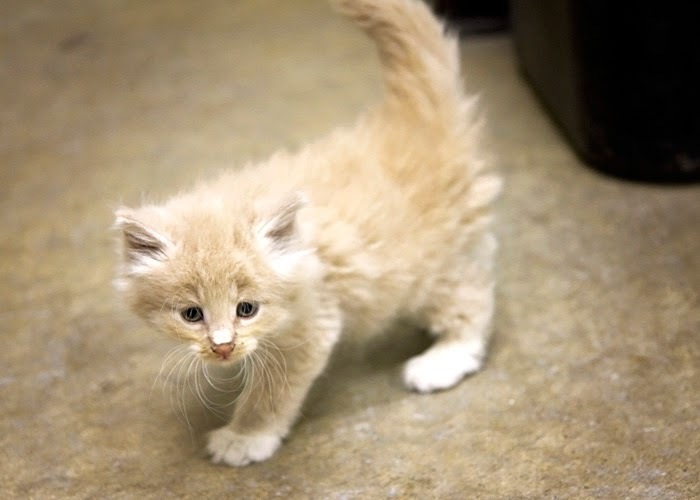 The kittens will be available for adoption on May 26. 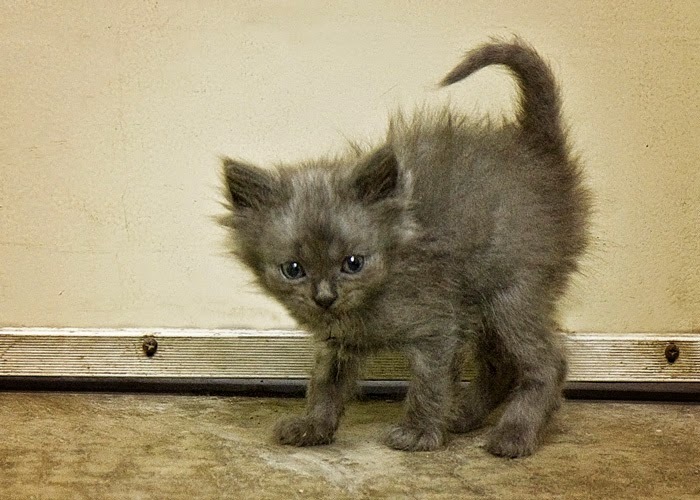 If you want a major overdose of cuteness, you have to come see them or any of the kittens from the other litters. You won't be able to resist them! After about 6 weeks of being gone, I finally went back to the Noble County Humane Society today. I was glad to see that many of the animals who were there 6 weeks ago have been adopted, but there are also many new ones. 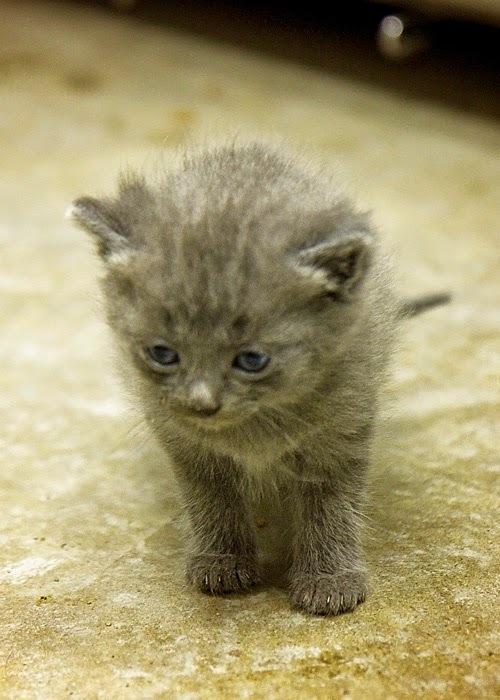 There are several mother cats who have litters of adorable kittens, and I will be posting pictures of some of them later. 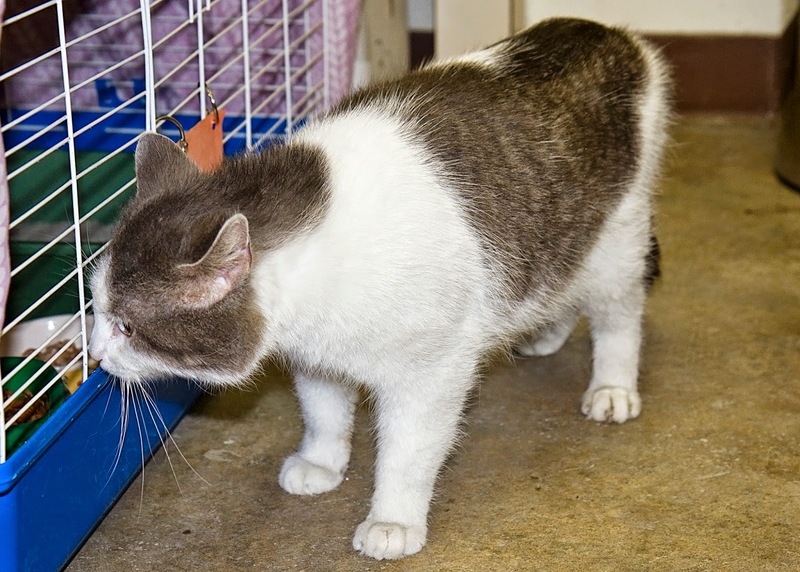 Today, we have pictures of a couple of older guys who are looking for homes. 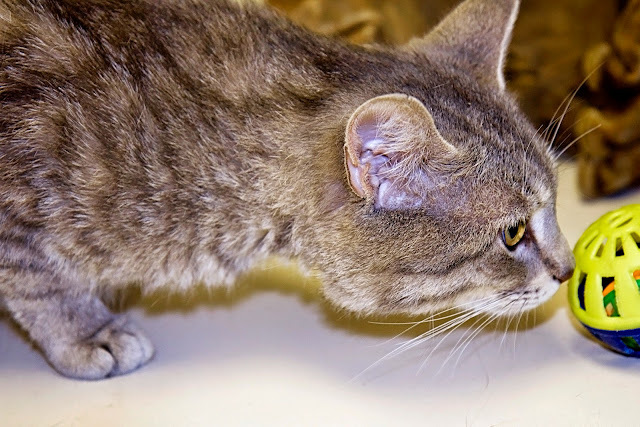 This first guy is Wally, a gray and tan male tabby. He is 2-3 years old and is one of the newer cats at the shelter, as he has only been there since March 26, 2015. He is wormed, up-to-date on shots and flea prevention, and is FIV negative. 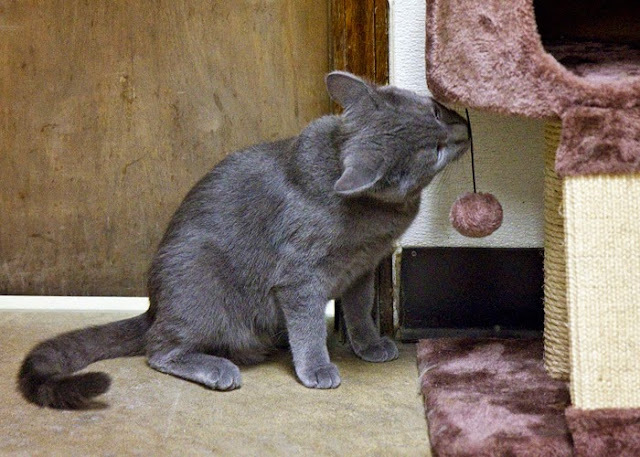 The first picture shows his curiosity as he checks out one of the many toys. The second picture shows how sweet he is. He loved to be held and brushed. He would love to have a forever home with a nice family! 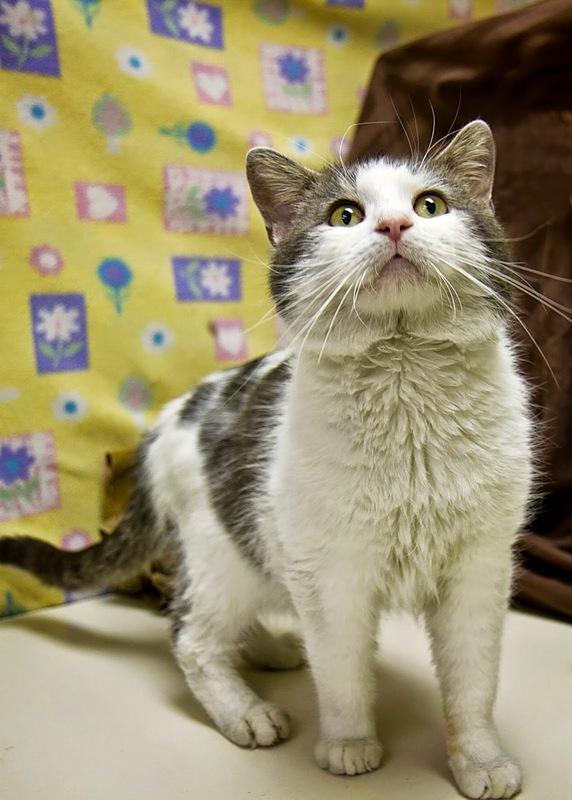 This next cat is Chico, a 2-3 year old white and gray male. He is also up-to-date on shots and flea prevention, has been wormed, and is FIV negative. 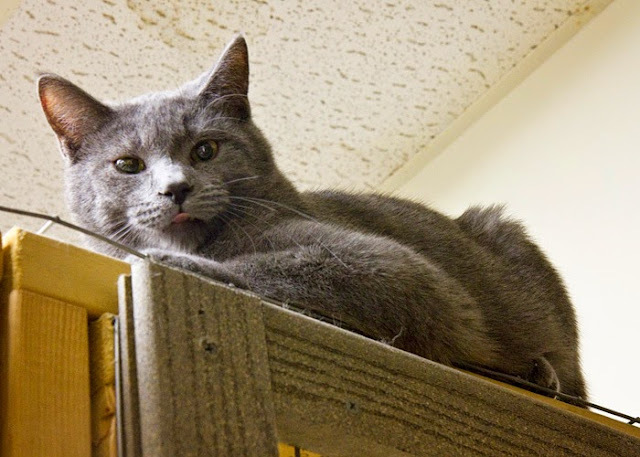 He has been at the shelter since February, 2015. He is very affectionate. When I was brushing him, he would lean into the brush, and would put his head under my hand to be petted. He also enjoyed checking out the other cats when I had him out of his crate. If you want a real lover-boy, Chico is your man! Come visit him at the Noble County Humane Society. 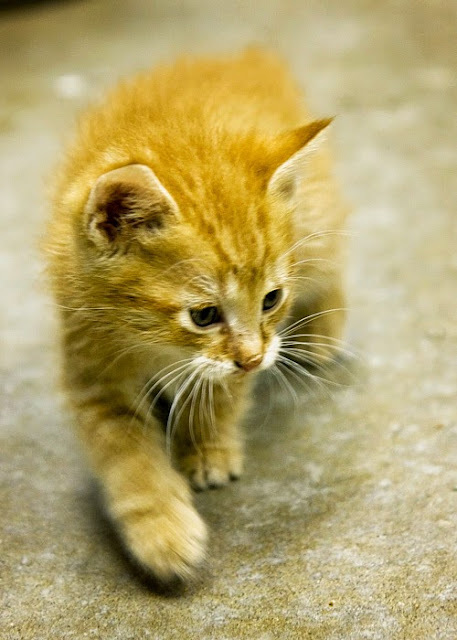 And say tuned - tomorrow I will be posting pics of some of those cute kittens! 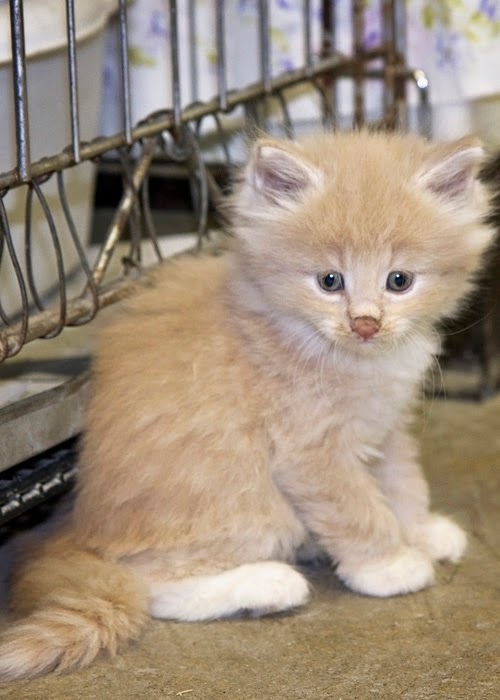 The Noble County Humane Society currently has over 150 cats (counting all those kittens), and 17 or 18 dogs. Please visit the shelter to see if you can find it in your heart to give one or more of these wonderful animals a happy home!